I'm older than some of my elder law colleagues, having lived a full life, experiencing marriage, divorce, births, and injuries and deaths of friends, family, and collegagues. I'm fortunate to have an office manager, Sandy, who also has lived a full life, experiencing tough situations that enable her to understand the importance of our work with others. As members of the sandwich generation, we both have cared for children and godchildren, parents and grandparents. So, we've seen alot and we know the importance of understanding each family's unique situation. I've loved country music since I was a kid. It’s a delightful pleasure when a song comes on the radio that warms my heart and motivates me to sing along. The other day as I was listening to Tim McGraw’s song, “Live Like You Are Dying,” I got inspired to write this blog that has been whirling around in my head for awhile now. Tim McGraw’s song is a story about an encounter with someone in their early 40’s who has been looking at x-rays, talking ‘bout the options and talking ‘bout sweet time. When the song writer reflects that this might really be the real end, he asks his new friend something like, what do YOU DO when you get this kind of news? I've had the privilege of getting to know many people who live life in the freedom and joyful celebration of life that Tim's song so artfully describes. And for the most part, these folks have developed a healthy appreciation of their own mortality. My theory is that this perspective about living life to the fullest is most pronounced in people who accept the certainty of death. It is for this reason that I love working with clients who are living their life in the full awareness that they are dying. Practicing elder law like a social worker gives me a heightened appreciation for the importance of delving into a client’s life story. I never accept representation of a client until we have had a two-hour consultation. 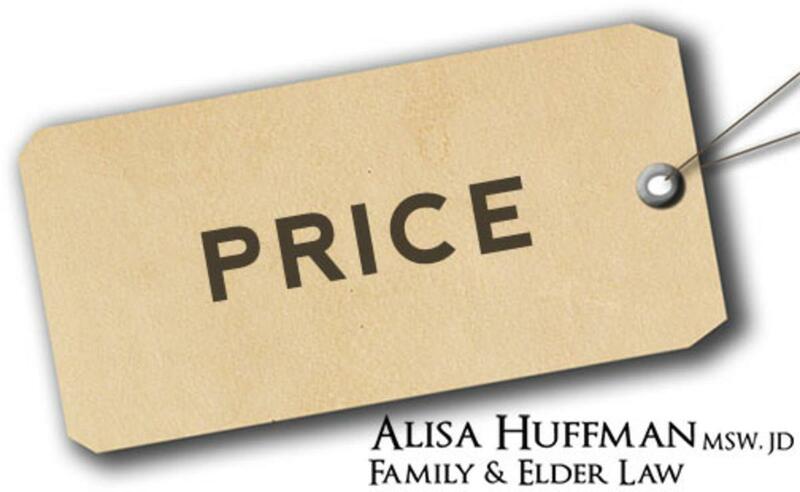 I know there are opportunities to purchase important legal documents for a flat fee with a limited time investment, but I believe that it takes time to fully assess a client’s strengths, challenges, needs, values and wishes in order to draft documents that accurate reflect the client's goals. I’m happy that many families select me because I’m trained as a clinical social worker. I can often see hope and a sense relief in potential client’s eyes when I can sympathize, and often empathize, with their family situation. I find that the hard topics my clients and I discuss, in order from the easiest to the hardest, are: death, finances/budget, potential loss of independence, and finally, a family member’s or beneficiary’s mental illness, addiction, or disability. Just in the past two weeks, I've had two clients shared their revocable living trust estate plan drafted by attorneys who did not know that they had family members with some type of special need. While for the majority of my clients, a revocable living trust is not needed, I always explain the pros and cons of simple wills versus revocable living trusts. However, trusts are a great tool for helping clients achieve their goals when it comes to making plans for others with special needs or young (or immature) children. I enjoy taking the time to draft the important legal documents for clients that reflect their needs, values and wishes. For example, I do not use the standard statutory forms for the healthcare power of attorney or living will. When applicable, I like to include specific information such as contact information for the client’s pre-paid burial contact, or directions for contacting an agency such as BioGift when someone has contracted to donate their body for medical training purposes. Sometimes I include specific messages from my clients to their family members when our discussion about their end-of-life reveals a message too precious to only be share in my office. Every day, I strive to live life like I am dying. In my work with others, I enjoy sharing this joy of living by helping my clients and their families achieve a peace of mind about their estate plan and healthcare plan so that they can put these documents on a shelf and enjoy living life like they are dying. What are the costs to you and your loved ones if you fail to complete important life and death planning documents until it is too late? Do you want to make your own health care decisions or leave them to doctors who know little about you or your family? Do you want your finances maintained if you are incapacitated? 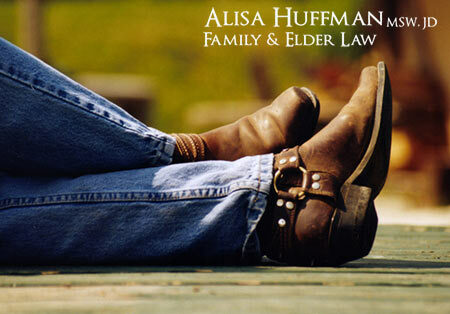 Do you want your heirs to receive your assets and property? Being proactive can save emotional and financial costs to you and your family, and give you peace of mind. Almost no one leaves my office without me asking: “If you get to a point where you need health care support, what is your plan? Where do you want to live? In Being Mortal, Atul Gwande, a practicing surgeon and author of three bestselling books, talks about the decision that elders have to make about where they will live when they are frail and need assistance. First of all, it is not easy to admit when we become frail and need health care support. We all want to be independent as long as we can and we sometimes deny to ourselves or our family members that we need assistance. We want to stay in control of our own lives. One way to stay in control of your own life is to think ahead and make general plans about your best future that is based on your resources—financial, informal and natural supports, and formal supports. A generation ago, it was understood that aging parents would either move in with their children or would keep living in their home and their children would assist them until they died there. Gawande discusses how aging has changed, due in no small part to medical advances that have increased longevity. Seniors control their own lives longer and children often don’t live near their parents. It is often a difficult process to figure out if it is best to live at home with physical accommodations and support from aides or nurses, or live with family with support from aides or nurses, or live in an assisted living community. When a parent becomes frail, the children often make the difficult decision about where the parent will live. The decision is seen through the eyes of the child not the parent. So facilities market themselves to the children of the elderly – creating beautiful, hotel-like entryways, touting their computer labs, praising their exercise centers, and emphasizing their trips to concerts and museums. These features speak much more to what a middle-aged person desires for a parent than to what the parent does. Their biggest selling point is how safe they are. Gawande suggests that parents need to make their own decisions about their treatment, where they live, and how they live, until they can’t make those decisions anymore. He reminds us that the sick and aged most often have priorities beyond being safe and living longer. They want to share memories, pass on wisdom and keepsakes, settle relationships, establish their legacies, make peace with their god, and ensure that those left behind will be okay. So, Gwande suggests starting a conversation now about where and how you want to live when you are frail, and revisiting that conversation over and over as situations change. Being in control of your life as you age starts with a conversation now. We all want to rely on our doctor to fix us, help us make medical decisions, and support us in stressful periods when our health, our partner’s health or our parent’s health is precarious. In Being Mortal, Atul Gwande, a practicing surgeon and author of three bestselling books, admits that doctors often don’t do these things, explains why, and offers ideas of how doctors could help patients facing end of life decisions. Gawande explains that doctors are taught to save lives, not how to help patients live until they die. Doctors use aggressive treatment to battle death, even when they know there is little chance of the treatment affecting the final outcome for the patient. He cites research and tells stories of his own patients and family which reveal the suffering that modern medicine can inflict on the dying process. Gawande admits that sometimes doctors try so hard to extend life that they end up shortening it and reducing quality of life. What is your understanding of your situation and its potential outcomes? What are your fears about what lies ahead? What are your hopes? What kinds of trade-offs are you willing or not willing to make if the worst happens to you? How do you want to spend your time if your health worsens? Who do you want to make decisions if you can’t? Asking these questions can lead to what Swedish doctors refer to as a “breakthrough discussion,” conversations which help sort out when someone needs to switch from fighting for time to fighting for other things they value, like being with family or taking a last trip to a beloved place, or enjoying apple pie. In my next blog, I will discuss another theme in Gawande’s Being Mortal, where are you going to live when you need health care support? 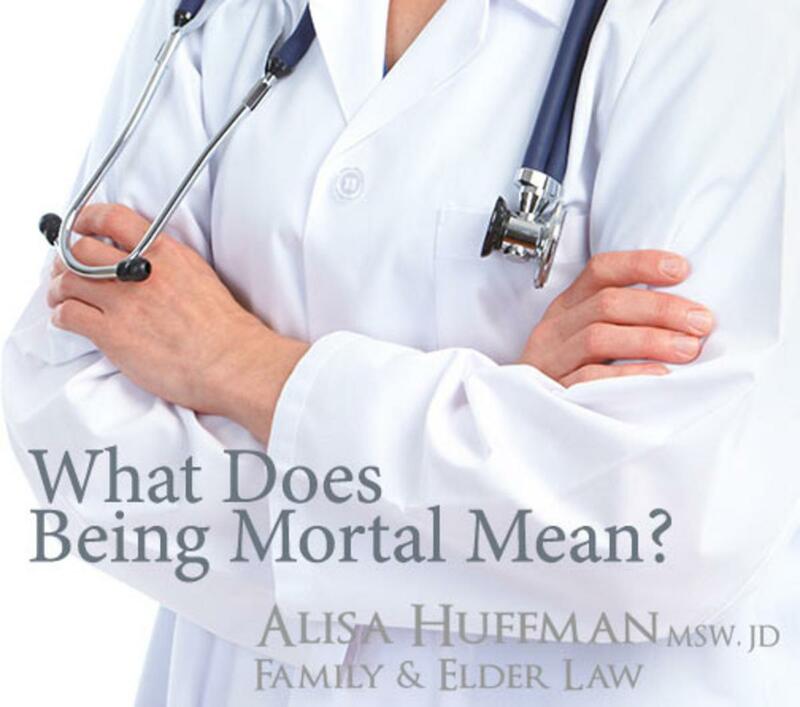 What does BEING MORTAL mean? The timing of reading a book sometimes makes all the difference. 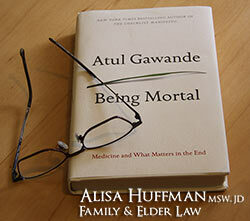 If you are reading my blog, Atul Gawande’s Being Mortal might just be the right book at the right time for you. Gawande is an experienced surgeon who tells his professional story, a personal journey from ignorance to understanding about aging. Are you or were you a caregiver for someone you love - your husband, your wife, your mother, your father? Are you thinking about how you want to age? Are you entertaining any thoughts that you might need the care of another person as you grow older? If so, this book is a great gift to give yourself. It might help you make important health care decisions for your loved ones or yourself. It also might give you peace of mind about health care decisions you have already made for loved ones.Gawande helps the reader understand what being mortal means, through stories about his patients and research that describes the aging process. One the themes in Being Mortal is that the process of aging and dying is normal, tragic, and inevitable. Gawande shares research that explains what happens to our bodies as we age and reach the end of life. He describes how our teeth, bones, muscles, eyes, skin, hair, hands, heart, brains and lungs decline over time. Gawande says that “the story of aging is the story of our parts.” As deficiencies in our complex bodies increase, the time comes when just one more problem is enough to weaken the whole and we become frail. If we are privledged enough to live a long life, becoming frail is a normal part of our mortality. When we are frail, a precipitating event, like a fall, or pneumonia, may lead to death. But in our fight against old age and dying, we too often perceive an illness as a battle that must be fought resulting in a winner and a loser. Many of us don’t want to think about dying, much less talk about it or even accept that there is a 100% chance that we will all die. The very act of thinking about the possibility of our own death, and talking about it with loved ones and professionals, could help us understand our mortality, and make it a shared rather than a lonely experience. In my next blog, I will talk about another theme in Gawande’s Being Mortal: why doctors don’t usually help us to come to terms with aging and dying, and how this could change. but what do you actually do? I've been practicing living in the moment. Aligning myself as a human BEING as opposed to a human DOER who is tied to a calendar, lists, and other strategies for keeping up with the to do's, or check marks for done. I've gotten so accustomed to being in the moment that when asked how I am doing, I often describe my present joy. Sometimes this is sufficient and the questioner and I have a delightful conversation about our mutual happiness. But sometimes, the one asking the question will look at me with bewilderment and say something like, "Well, I can see you are happy, but what do you actually do?" 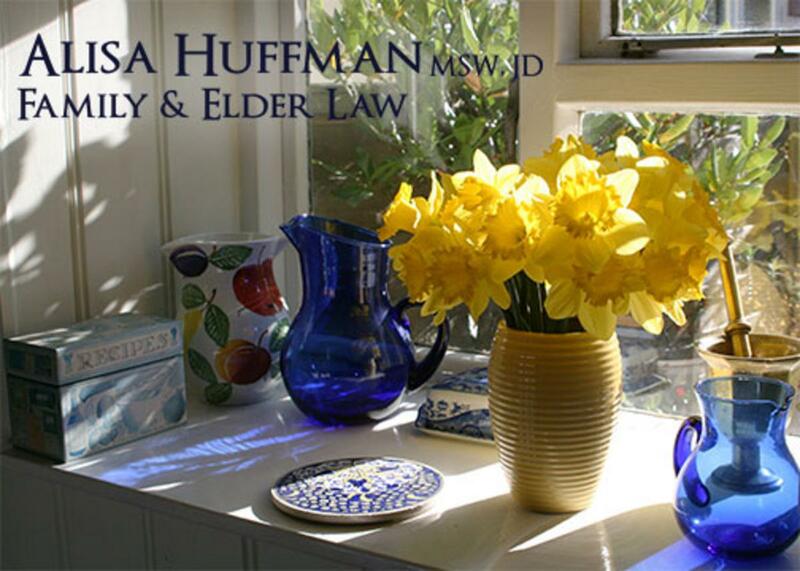 Assisting a much too young client in probating her twin brother’s estate after he died unexpectedly and without a will. Representing a client in a guardianship matter who wanted to discharge his mother from a skilled nursing home so that her passing would be in a loving environment surrounded by her family. Helping families understand the plethora of long term care options and how Medicare, Medicaid, Special Assistance, and Veteran Administration pension benefits might or might not help them. Working with families who don’t have a wealth manager, but need someone to help them think carefully and creatively about how to achieve the desired quality of life and obtain the most appropriate and highest quality of care possible for their loved one. Traveling to homes, hospitals, and hospice to meet with clients who want to make certain their legal documents are in order and accurately reflect their wishes. Helping parents of young children have access to an affordable and simple estate plan for themselves and their children which typically includes a simple will with a testamentary trust, health care power of attorney, living will/advance directive, and durable power of attorney. Facilitating difficult and emotional conversations. Clients find it easy to have hard conversations with me on subjects like disability, death, mortality and our humanity. 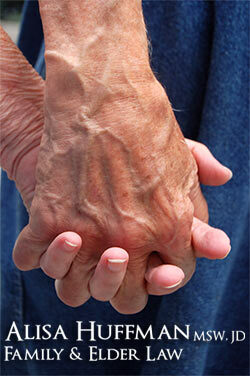 Once a client came seeking advice about how to find and pay for long term care for her mother. She left my office with an acceptance that her parent was in the active process of dying. With this new focus, hospice was able to come on board the next day and provide support for the entire family--up to and beyond the parent’s death. Educating and empowering older clients to have a conversation with their doctor about a Do No Resuscitate Order and a Medical Order for Scope of Treatment. 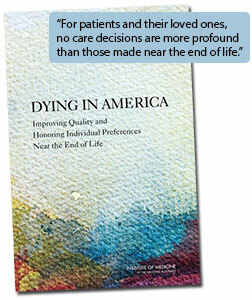 Reflections on the September 2014 report, "Dying in America: Improving Quality and Honoring Individual Preferences Near the End of Life"
Having to make decisions about a loved one's care is never easy, but having to make these decisions at the end-of-life is a life-changing experience. The majority of us do not have conversations about end-of-life with anyone—our doctors, family, friends, or attorneys. When a loved one nears the end of her life and is not physically, mentally or cognitively able to make decisions about her care, we often feel helpless and frustrated that acute hospital care is causing unnecessary discomfort and unwanted and costly care that does not reflect our loved one's values, goals and preferences. Although we do not always sign advanced directives and make other plans for our death, we all want end-of-life care to be compassionate, affordable, sustainable and the best quality possible. The need for families to provide caregiving for a loved one is increasing daily. Family members take on tasks such as providing personal care, household chores, paying bills and managing medication which are cumulative (keep increasing) and progressive (never let up). A major recommendation of the report that hit home with me was the call for public education that normalizes conversations about death and dying. 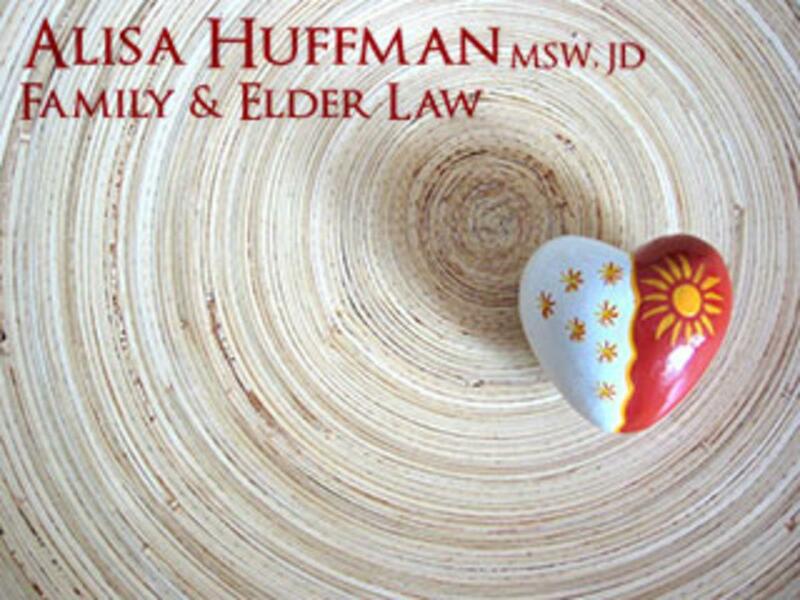 In my first year practicing elder law, I have had the privilege of talking about death and the process of dying with many clients. And while family members are most often seeking advice about end-of-life care and how to pay for it, I find myself asking, "Are you ready for your loved one to die?" It is from this sacred conversation that people are able to start developing the best, most appropriate plan of care for themselves and their loved one. 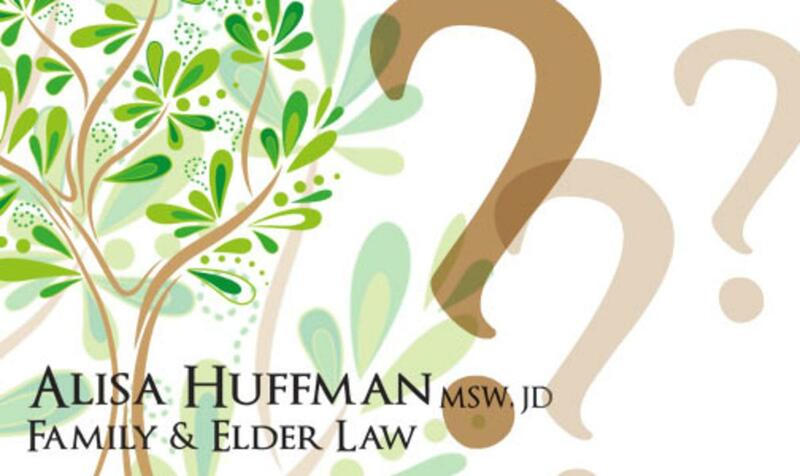 This month, I provided my Introductory 101 seminar entitled, "End of Life Transitions, An elder lawyer's perspective on proactive planning for yourself and your family," to a focus group of professionals. This educational seminar is the result of my determination that too much information and advice about long-term care is often confusing, inconsistent and has a fearful spin that leaves one feeling like they should do this, buy that, or act now or face something really horrible. I know how difficult it was for me to understand the various levels of care and whether and how people might qualify for public assistance to pay for care. This seminar is my attempt to provide a basic overview of long-term care so that with this foundation, families can dig deeper into other seminars available in the community on "asset protection, medicaid planning and financial planning to maximize funds to pay for care & retirement." I am offering this seminar free in my office as well as in the community. If you would like for me to present to your group, organization or extended family, please contact my office to make the arrangements. Doesn't everything I own go to the people I name in my will? Most people understand that a Will, sometimes referred to as a Last Will and Testament, is a document that describes who you want to have your property when you die. Property that passes to another person in a will is commonly referred to as "probate assets." So for example, you might want your grandson to have your father's pocket watch, or your daughter to have your engagement ring. For many people who think about what they have to leave loved ones after they die, it is often the personal property that has the most meaning for those left in the physical world. Understanding what property passes to your loved ones through your will and what property doesn't is the first step in deciding what you want your will to say. I cherish owning and wearing my Aunt Scottie's ring that I saw on her finger until she died at age 96. I wear her ring on days when I want to be reminded to live as she did--full of optimism and satisfaction that she had everything of value that there was to have in this world. Property that you have named someone as a beneficiary on so that they receive the property at your death. For example, individual retirement accounts (IRA's) and life insurance policies. Property that you own jointly with someone that has a "right of survivorship." This means that at a joint owner's death, the property automatically goes to the "survivor." A right of survivorship can also apply to the ownership of several types of property/accounts, for example, bank accounts, investment accounts, stocks, bonds, and real property (real estate). Bank accounts that you have told the bank in writing that you want the funds to be paid to (name) at your death. This is often called a "pay on death" (POD) account. Property that is owned in a trust that you create, passes to another person according to the terms you write in the trust. If you are thinking about creating a will or revising your will with an attorney, it is important that you discuss all of your property so that you understand HOW you want your property to be distributed to your loved ones and any charities at your death.